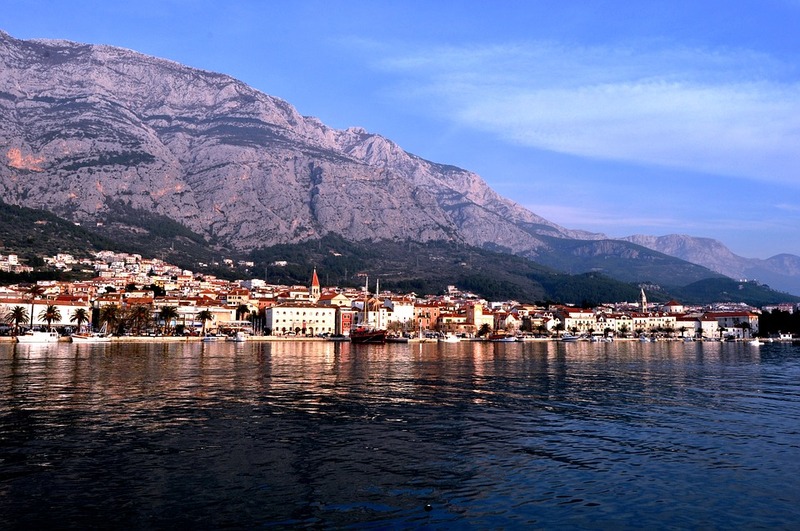 Blog & Journal > Travel & Food > Why You Should Visit Makarska? Why You Should Visit Makarska? Makarska is one of the most beautiful location in Croatia and also a great touristic destination. It’s actually a small city, placed on the Adriatic Sea coastline and 60 km away from city of Split. Makarska has only around 13.000 residents, but especially during summer it receives thousands of tourists worldwide. The city prides itself with a very unique harbor, with very interesting history. The harbor is located between Cetina and Neretva rivers and it was used as shelter during storms and impracticable sailing conditions by traders and sailors. Nowadays, the harbor has been significantly changed and instead of old prows, we can observe arrivals of tourist ships and luxury yachts. Still, if you plan on visiting Makarska, you have to know that there are a lot more things to do here. Following are just a few of my recommendations. Even if Makarska is a seaside city, it’s also known for the imposing and beautiful Biokovo Mountain. If you are passionate about admiring some epic landscapes and having an overview of the whole area, then you should definitely hike on Biokovo. Also, the trip is an adventure itself and you can enjoy the fresh clean air and admire the old forest. It will take you about 3 hours to reach the first peak, but all that sure is worth of the effort. And don’t worry, the whole path is properly marked, so there is no chance that you could get lost as long as you follow the roadside instructions and the white stripes by the road. Saint Mary of Sky is located at the end of Makarska’s landing, this Franciscan Monastery is both an architectural wonder and a rich historical source. The monastery is more than 600 years old, it was renovated in 1540, and its current form dates back from 1614. The monastery went through some hard times and during the Turkish occupation was turned into a mosque. Still, the Franciscan Monastery remains a great touristic attraction regardless of your religion. The rich library that contains over 5000 books and the art gallery, with numerous baroque crowned painting, makes Saint Mary of Sky a must-visit historical place during your stay in Makarska. In it’s off season, Makarska is a pretty peaceful town but during spring and summer, everything comes back to life and the city is again animated with lots of people and events. You really have a lot to take in consideration, from carnivals, book expos, concerts, or music festivals to fishing contests and similar. If those kind of activities are not really your thing, then you should know that Makarska is also famous for its nightlife. You have lots of clubs to choose from with and the most famous ones are “Petar Pan” and “The Cave Bar“, where Croatian and international artists are having concerts every weekend. Last but not least, visiting sandy beaches of Makarska and answering the call of the Adriatic Sea are basically the main activities and reason that made Makarska such a big touristic attraction. There’s plenty of beaches and accommodations to choose from, some of them more appealing than others. And you can get a proper natural sun tan wherever you want. Also, don’t forget to enjoy the crystal clear water as swimming in beautiful Adriatic Sea is always a relaxing experience. As you can see, during spring and summer Makarska is a very picturesque town, a place that lives for tourism and provides a lot in the field of culture, sports and entertaining activities of the Croatian coast.